The business strategies review touched every business in this country and the legal industry is no exception. As had been assumed last year, 2014 became a period of stress tests for law firms to respond to challenges that the crisis and occupation entailed. We always tend to design our Handbook in a comprehensive and suitable way for navigation in both print and on-line formats. And now this is the thirteenth edition of our legal directory, which observes in detail the Ukrainian legal market, firms and individuals across various areas of legal practice. The market segmentation is, for research purposes, done in line with the legal market’s development and may change from year to year. In the current edition we compiled 18 surveys and 21 rankings. We are grateful for the corporate submissions that arrived from law firms as well as individual market feedback that we use as a tool for verification of results and revealing deepen insights into each given segment. It is worth noting that the situation in our country consequently affected the nature of work noted in the submissions. Naturally, the share of confidential advisory is much more significant, while clients and projects are more sensitive in this respect. Furthermore, numerous projects were aborted and put on hold due to market conditions. We tried to mention notable highlights and project evidence wherever this was possible. Those firms/individuals that have not provided questionnaires but were, nevertheless, highly active on the market and received strong references during the poll, were included in commentaries based on the use of publicly available sources. The Handbook carries out the function of reliable market intelligence, high-end expert review and certainly a guide to external counsels. An accurate list of transactions (projects) is structured in the league tables (see Tables 1-5). During 2014 and the first quarter of 2015, the Ukrainian legal market entered into a dramatic cycle of what one could call “recomposition” and “domestification”. Recomposition included (i) substantial changes in the structure of law firms organized as partnerships (including spin-offs or partner exits into public service or other partnerships); (ii) strengthening of certain players’ focus on their key practice areas or industries – to defend their core product markets against the backdrop of the unfolding economic crisis and increased competition; (iii) relocation of legal teams affected by the military conflict in Eastern Ukraine and annexed Crimea; (iv) reprofiling of some players – into either stricter boutique practices or vice versa – into reportedly full-service organizations, and finally (v) various other instruments used by law firms to address the ever-increasing buyer power of their clients. Domestification meant that certain multinational law firms decided to cease the operations of their Ukrainian subsidiaries, or at least partly refocus their Ukrainian teams on outsourcing work for overseas offices, which created additional opportunities, despite the difficult overall market situation, for more flexible and creative domestic players. Both trends are quite naturally expected to continue into 2015 and likely 2016, at least as long as Ukraine struggles through its deep economic and military crisis, and could eventually result in a more fragmented market dominated by more agile and largely domestic firms. The past year has seen spin-offs and splits on the market, mergers and international integration too. There is no doubt that the most resonant news of last summer was the exit of five out of eleven partners from Vasil Kisil & Partners, a full-service Ukrainian heavyweight.In August the young generation of partners, namely Anna Babych, Yulia Kyrpa, Denis Lysenko, Oleksandr Mamunya and Mariya Nizhnik, in unison with the group of lawyers, established the AEQUO law firm. 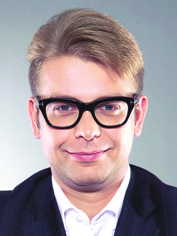 Denis Lysenko became the managing partner of this newly promising and ambitious team. The same month renowned tax firm KM Partners has been renamed WTS Tax Legal Consulting LCC. The rebranding is connected with membership in international network WTS Alliance over many years and is aimed at rendering services under unified the WTS global brand and unified global standards. At the same time, criminal practice and related services are provided by KM Partners attorneys at law. In December 2014 Pavlenko & Poberezhnyuk law group, which was mostly involved in litigation work, splits into two independent companies, namely Pavlenko Legal Group and Poberezhnyuk & Partners. In the same month ECOVIS Bondar & Bondar announced its merger with Law Business Consulting Law Company. The joint team continues its activities under the ECOVIS brand. There was also important news from the Big 4. The separate law firm of PricewaterhouseCoopers Legal was established, with Andrey Pronchenko becoming its managing partner. The past year has proved that despite the incredible economic potential of our country, international law firms are very sensitive to political, economic and military uncertainty. In 2013 German firms Noerr and Beiten Burkhardt closed their Kiev offices. The trend was followed by Chadbourne & Parke, which had been present in Kiev since 1993 and closed the doors of its Ukrainian office in August 2014. Moreover, since 1 February 2015, the Kiev team of the Austrian law firm Schoenherr operates as a separate independent firm named Sytnyk & Partners, under the name of former Schoenherr partner Denys Sytnyk. This proves that business strategies of international and European law firms completely follow the capital flows of foreign investors that have been exiting the Ukrainian market in the last few years. At the same time, last year TCM Group International set up a presence in Ukraine through its office in Kiev. The group is primarily focused on alternative dispute resolution and international debt collection. Followed by the annexation of the Crimean peninsula, businesses faced an unprecedented situation when it switched from Ukrainian jurisdiction to the jurisdiction of the Russian Federation. Several national law firms established Crimea desks and offices. Ilyashev & Partners opened an office in Simferopol. Arzinger established an internal cross-industrial task force called “Occupied Territories” to ensure legal support for clients operating in Crimea and Donbass. Sayenko Kharenko set up a special Crimean Desk of 16 lawyers in Kiev, Simferopol and Sevastopol. Despite the recent uncertainty present on the market, the past autumn saw a revival of expansion strategies among a number of market players. Thus, in September the Odessa-based Interlegal, which is focused on shipping and international trade in the Black Sea region, opened an office in Istanbul, Turkey. In October Lviv-based Matviyiv & Partners attorneys at law opened an office in the Ukrainian capital. The office is focused on arranging legal support of commercial activity for Central Ukrainian companies. And vice versa, some law firms based in the capital started expansion to the Western region of the country. For example, in October Juscutum Attorneys Association, a highly active legal team in the IT sector, and the L.I. Group, focused on indebtedness and solvency matters, established branches in Lviv. Following the annexation of the Crimean peninsula quite a number of Ukrainian and foreign companies faced business risks related to their assets in Crimea, which have been vulnerable and basically unprotected since the annexation in March 2014. We were one of the very first law firms offering solutions on Crimea-related projects and setting up a dedicated Crimean desk comprising 16 lawyers. The desk capacities build on the experience and local insight of several of the firm’s team members that before joining the firm three years ago, used to practice law with the largest Crimean law firm. The most urgent legal issues related to Crimea include preservation of title to corporate rights, business transactions and trading activities, financial liabilities secured by assets in the Crimea, dispute resolution involving courts in the Crimea. In January 2014 a team of nine lawyers, including two partners, Dr. Julian Ries and Dr. Oleksiy Feliv, joined the Kiev office of Gide Loyrette Nouel from theclosed Beiten Burkhardt. The office enhanced its market standing and secured a following from German-speaking clients. 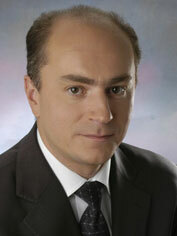 Igor Lynnyk became a partner at Gryphon Investment Consulting Group. He advises on tax, risk management, forensic and dispute resolution practice. After the promotion in February 2014 of Svitlana Chepurna and four senior associates, Yevgen Kravtsov, Yevgen Porada, Andriy Pozhidayev and Constantin Solyar, to partners, Asters has made some new hires. In May renowned IP practitioner Julia Semeniy joined as a partner. Ievgen Gusiev, who had previously headed the regulated sector practice at Wolf Theiss, joined the firm as a counsel. In March Sayenko Kharenko enhanced its partnership staff with renowned Ukrainian IP professional Oleksandr Padalka from Asters. The past summer was also hot for promotions and lateral moves. Konnov & Sozanovsky announced the preferment of Alexey Pokotylo to the rank of partner. Olena Zubchenko was promoted to partner at Lavrynovych & Partners. In July 2014 Olga Vorozhbyt joined the Kiev office of CMS Cameron McKenna as a partner to develop litigation and compliance practice. She had previously headed the disputes resolution practice at the Kiev office of Chadbourne & Parke. Misechko & Partners admitted a new partner, Anton Lukovkin, to develop the banking and finance, real estate and construction practices. In August Dentons announced that Adam Mycyk had joined the firm’s corporate practice as a partner based in Kiev. He is one of the few US-qualified attorneys working in Ukraine, and had previously been a partner at the Kiev office of Chadbourne & Parke. In addition, partner Myron Rabij, the head of real estate and energy practices in Ukraine, joined the New York office as partner at the Ukrainian desk in the USA. In September 2014 Anna Chepur was promoted to a partner at Gryphon Investment Consulting Group. Svyatoslav Senyuta, who was compliance officer, head of litigation at the largest mobile operator in Ukraine, Kyivstar, joined International Legal Center EUCON as a partner. He became head of compliance, electronic and mobile commerce practices. In addition, the firm reinforced its office in Warsaw with the admission of new head and senior partner Ihor Yatsenko. He headed the legal department of ISD Polska Sp. z o.o. and focuses on international tax law and tax planning, incorporation in Poland and entry to the European market, restructuring and reorganization. 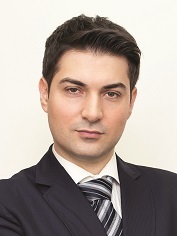 In November 2014 Egorov Puginsky Afanasiev & Partners Ukraine appointed Roman Stepanenko as partner in charge of banking and finance, capital markets practice. New hires and departures occurred in the AstapovLawyers International Law Group in November. 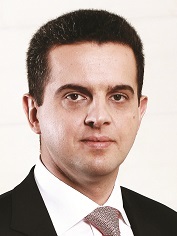 Aleksey Kovryzhenko joined as counsel and head of distressed assets practice in the CIS region. The team of intellectual property professionals headed by Natalia Meshcheriakova has left the group and rejoined the Intellectual Property Experts Agency. The year of 2015 started with a number of anticipated promotions and significant hires. In February VB PARTNERS promoted Oleksandr Lukianenko to a partner. 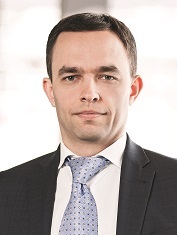 Ivan Shynkarenko, leading counsel of WTS Tax Legal Consulting LCC, has been promoted to partner. Sayenko Kharenko expanded its international trade practice with a senior hire in the shape of Andrii Zablotskyi from Volkov& Partners. In March Kateryna Gupalo joined Arzinger as counsel and head of tax and customs disputes as well as white-collar defense practices. The passage of lawyers to state positions and politics which began last year was definitely the core trend on the Ukrainian legal market. Thus, many representatives of the legal business entered the Presidential Administration, Parliament, Ministries,the Prosecutor-General’s Office and National Bank. Prominent Ukrainian lawyers Andrii Zhurzhii (Fozzy Group), Victoria Ptashnyk (Droit Law Firm), Olena Sotnik (Solodko & Partners) and Sergey Alekseev (Alekseev, Boyarchukov & Partners) entered Parliament. Some other practitioners went into public service. Thus, Arzinger ensured the state with a handful of appointments. Vitalii Kasko was appointed Deputy Prosecutor-General for International Legal Cooperation; Anton Yanchuk was appointed Deputy Ukraine Justice Minister for European Integration. 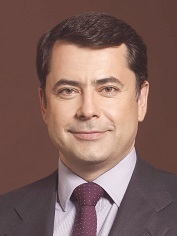 Recently, in March 2015 Sergiy Shklyar, founding partner and head of dispute resolution, antitrust and competition, became Deputy Ukraine Justice Minister for the Enforcement Service. Last summer Oleksii Reznikov, who was a partner at Egorov Puginsky Afanasiev & Partners Ukraine was elected as deputy head (secretary) of Kiev City Council, while Sergiy Grebenyuk, counsel and co-head of criminal law practice, has been elected as a Deputy Head of the Consultative Council of the Prosecutor-General’s Office of Ukraine. Since July 2014 Oleksiy Filatov, ex-partner of Vasil Kisil & Partners, who led the dispute resolution practice, has occupied the post of Deputy Head of the Presidential Administration of Ukraine. Igor Shevchenko, one of the founders of Shevchenko, Didkovskiy & Partners (at present – Asters) became the Ukrainian Minister of Ecology and Natural Resources. Oleksandra Pavlenko, managing partner of Pavlenko Legal Group, became the first deputy Ukrainian Health Minister. In December 2014 Sergii Koziakov, managing partner of Sergii Koziakov& Partners, became head of the High Qualification Commission of Judges of Ukraine. Leonid Antonenko and Nataliya Mykolska, counsels with Sayenko Kharenko,became head of the Registration and Licensing Department of the National Bank of Ukraine and the Deputy Ukrainian Minister of Economic Development and Trade – Trade Representative, respectively. In 2014 compared with 2013, the trend of preferring in-house lawyers to outsourcing legal counsel increased. The price factor plays the main role here. It is no wonder that the difficult economic and political situation forced Ukrainian enterprises to review their expenses significantly. There was also the considerable effect due to the fact that not all external counsels responded to the depreciation of the hryvnya in a timely manner. Consequently, employees working for a fixed wage denominated in the national currency come much cheaper than external advisers. Such considerations have forced an increasing number of Ukrainian enterprises to pass on the main part of the current standard legal tasks to their in-house lawyers. Another noteworthy feature of 2014 is that this trend is accompanied with staff reductions in legal departments. Many in-house lawyers formally become external counsels and provide services exclusively or mainly to their former employers. However, external advisers are still widely involved in carrying out non-standard solutions to complex problems. In order to save on legal expenses they are involved for certain stages of projects that require highly qualified expertise, instead of outsourcing a whole project. In 2015 these trends are expected to intensify. In fact, the market situation seems to be even more complicated because of the decline in demand due to the ongoing economic recession. It is obvious that crisis-resistant industries will be able to afford lawyers. First, these are the industries that serve primary needs (trade, consumer goods industry, import), and secondly, those that are developing now (alternative energy, energy efficiency, IT (tech) industry, agriculture). The devaluation of hryvnya opened up the opportunities to allocate production facilities in Ukraine. For these reasons, foreign companies will need legal advice of local lawyers, competent in support of such transactions. Given the unstable financial situation in Ukraine, we can easily forecast a wave of lawsuits regarding the non-fulfillment of contractual obligations. Litigation with banks will remain in the trend. The removal of government officials from their positions due to lustration will give rise to disputes on the reinstatement in their positions. The criminal cases against the representatives of the former regime are already being heard in courts. The increase in amount of criminal proceedings related to military crimes (military service evasion, desertion, insubordination) is also expected. Proceedings against persons involved in separatism will form another caravan of criminal cases. I expect that during the crisis the outsourcing of legal services will decline for some period, but then it is likely to recover and even slightly grow. Political and economic turbulence and, certainly, military action in Eastern Ukraine, made the investment climate probably the worst in the country’s history. The shortage of transactional work caused a drop in its price. Indeed, international capital markets are currently closed for Ukrainian issuers, while fund raising abroad is very limited. Many foreign investors decided not to wait for the recovery, froze their activities and even exited the country. It is observed that even traditionally transactional law firms attempted to conduct healthy diversification of practice offering, refocusing on restructuring, bankruptcy and litigation. Unquestionably, dispute resolution is most demanded. These are banking disputes, failure to comply with commercial contracts and disputes with regulatory authorities. Rapidly changing tax legislation and the continued fiscal approach of the tax authorities provoke a steady flow of tax litigation. Market conditions stipulate corporate reorganizations, assets restructuring, complete liquidation and exits from the jurisdiction. Another vivid trend is increasing demand for compliance, including anti-corruption, antitrust, anti-money laundering compliance for financial institutions. Bearing this in mind, law firms are separating compliance into a special service and integrate it into traditional practice areas offering. Economic turmoil entailed an increase in labor and employment assignments. More- over, the annexation of Crimea resulted in an unprecedented situation with assets and business operations in the peninsula. This required sanctions advice and a comprehensive approach from the perspective of two jurisdictions – Ukrainian and Russian. The shrinking market caused great concerns to the approach of traditional hourly rates and demonstrated the strong sensitivity of business and legal costs. Soft estimates and caps showed themselves to be in great demand from clients. Serious fluctuation of the national currency brought another twist to legal fees. It is no longer so rare that a fee estimate be requested in local currency instead of widely used dollars and euros. Those, who committed to retain clients at any costs and save fees in currency had to dump their prices significantly. Others kept on trying to use value-based pricing models and retain their clients by satisfying them and generating profits. The shrinkage in market volume caused not only an immediate effect in cost management but reconsideration of general legal business strategies. As a result, such a sensitive issue as partnership finance came onto the agenda for many market players. The economic situation forced a review of so-called “sleeping leaders model”, when the latter cannot rest on their legacy, reputation and client base. Given the highly competitive market at present, the profit-driven approach gains more supporters. And as the past year has vividly shown now it is precisely the time for different types of reorganizations. Another important feature is business process optimization and decrease in compensation packages, accompanied with the negative salary expectations. The cost-controlling and cost-cutting policy is more accurate than during the crises of 2008. Performance evaluation of personnel is rapidly introduced in small and even boutique law firms. Law firms reconsider their attitude towards business development, which became sensible, targeted and truly performed on an ongoing basis. The legal employment market has undergone substantial changes throughout 2014-beginning of 2015. Many experienced, qualified and less expensive lawyers replaced highly compensated colleagues in law firms. Indeed, those firms who were traditionally active in attracting talented staff used the opportunity to complete their teams with such performers in a cost-effective way. Many lawyers from the East moved to other regions and Kiev, tightening competition for vacancies. Some vivid regional counsels relocated firms, employees and their families. From the positive perspective, the crisis forced law firms to think out of the box and become more flexible. "Traditional practices should continue to operate although in a limited mode – as the market permits"
In times of crisis, a law firm’s management should ensure that the firm enjoys the temporary benefits and opportunities presented by the crisis while, at the same time, not destroying the firm’s strategic or “traditional” practices and keeping them ready to return to the “business as usual” once the market rises again. This means, for example, that the firm’s management should seek every opportunity to advise clients on the crisis management issues which are in high demand at such times (assets protection, assets recovery, business model change, corporate reorganizations, debt restructuring etc. ), and to earn as much money on this as possible to support the firm’s financial well-being. Becoming so opportunistic means that lawyers of the “traditional” practices should adjust quickly to apply their skills and knowledge in the areas which are less “traditional” or even new to them. Accordingly, the firm should be ready to invest time (and at times money) in training lawyers to do such crisis-type work efficiently and to the highest quality level. In parallel, the traditional practices should continue to operate, although in a limited mode as the market permits: thus, even in these days, there is some amount of “regular” transactional work for corporate finance and M&A lawyers; revenues from this work fall noticeably but this should not give a pretext to terminate these work streams altogether. In summary, therefore, the best recipe for a law firm’s management in the crisis time is: be opportunistic in seeking work, ensure that such opportunistic work is done at the highest quality level, and keep all your “regular” transaction lawyers in a good mood and ready for post-crisis hectic but so rewarding business. Since the military conflict is not over, most investors are not willing to take such high country risks that Ukraine offers. Evidently, the economic recovery is possible with the systemic reforms so expected inside the country and by the outside world. With a fall in the purchasing power of clients and limited volumes of legal outsourcing, 2015 draws a real challenge for the legal market. In the meantime, some policies that have been announced may significantly affect this business and reshape its main players. If judicial reform sees successful implementation and reinstatement of credibility towards courts, the litigation practices in many law firms will receive strong impetus for development. The declared anti-corruption policy has already ensured a new service compliance, either as a separate service or one integrated into conventional practices. The EU–Ukraine Association Agreement has brought new opportunities for business and lawyers. Ukrainian enterprises interested in export, cooperation and attracting finance, investigate the agreement, EU regulations and requirements. The record number of lawyers in public service and Parliament, as well as involvement in the ongoing reforms in various spheres, is very promising for pragmatic policy-making. Its time has come precisely for it. It is very difficult to increase profits in bad times. Costs are something more controllable and may be decreased by due actions and will. The main cost is usually employee salaries and the second is lease. Advertising and general administrative expenses are most manageable. All other costs include the necessity to negotiate reductions with the counterparty, which is more difficult. Most firms have reviewed their policies regarding marketing and advertisement, implemented cost-saving standards in general administrative resources, negotiated with their landlords, lessors, and have not adjusted salaries with fluctuations in the exchange rate. This helped law firms a little bit to keep up, save employees from redundancies and maintain profit levels. On the other hand, there are few firms that continue spending in rather generous manner for advertising and events. Some believe it is an opportunity to gain better visibility, some see that it is stupid waste of money at this point. In any case each firm decides on its own, but it never hurts to understand what return on every dollar spent actually is. If the brand is already quite recognizable, if the people are quite loyal, if the travelling costs are rather optimized, there is no harm in having that on board especially in difficult times. Avellum Partners acted as Ukrainian counsel to dealer managers - Deutsche Bank AG, London Branch and ING Bank N.V., London branch; Baker & McKenzie advised Metinvest B.V.
Linlkaters acted as foreign legal adviser to dealer managers, the London and Amsterdam offices of Baker & McKenzie advised Metinvest B.V.
Sunflower oil pre-export loan facility to MHP arranged by ING Bank N.V.
Avellum Partners acted as Ukrainian counsel to ING Bank N.V.
Norton Rose Fulbright acted as a foreign legal adviser to ING Bank N.V. Secured loan to Astarta Group extended by the European Investment Bank (EIB) to finance the construction of silos and elevators. Secured facility to Swiss subsidiary of Ukrainian leading grain trader from Banque De Commerce Et De Placements S.A.
Integrites advised Banque De Commerce Et De Placements S.A.
Sayenko Kharenko represented the lenders, inc. ING Bank Śląski S.A., Bank Polska Kasa Opieki S.A. and Bank Zachodni WBK S.A.
Restructuring and increase of the sum of PLN 495 million (approx. USD 147 million) multipurpose financing to Inter Cars S.A.
Sayenko Kharenko represented the lenders, inc. mBank S.A., Bank Zachodni WBK S.A. and ING Bank Śląski S.A.
Sale of shares of Zaliv Shipyard to non-residents. Sale by Teploenergomontazh Ltd of corporate rights of Teploengineering Ltd to foreign investor — BROWMANT TRADE A.G.
Acquisition of 100% stake of a factoring company by Idea Bank, member of Getin Holding S.A.
*Global deal, total value in all jurisdictions. **The deal value according to public sources. Merger clearance for the acquisition of Shire Plc by AbbVie Inc.
Sayenko Kharenko represented AbbVie Inc. and Shire Plc; Asters represented AbbVie Inc. Slaughter & May acted as international counsel to Shire Plc; Herbert Smith acted as international counsel to AbbVie Inc.
Sayenko Kharenko represented Actavis Plc and Forest Laboratories Inc.
Skadden, Arps, Slate, Meagher & Flom acted as international counsel for Actavis Plc and Forest Laboratories Inc.
Asters represented Bayer AG, Merck & Co., Inc.
Merger clearance for the acquisition of AerCap Holdings N.V. by American International Group, Inc.; and for the acquisition of International Lease Finance Corporation by AerCap Holdings N.V.
Sayenko Kharenko represented AerCap Holdings N.V., International Lease Finance Corporation, American International Group, Inc.
Merger clearance for the acquisition of Oriental Brewery Co., Ltd by Anheuser-Busch InBev S.A./N.V. Asters represented The Blackstone Group L.P., Pinafore Holdings B.V.
Asters represented Nestlé S.A., Galderma Pharma S.A., Galderma International S.A.S. Merger clearance for the acquisition by The Carlyle Group L.P. of the Industrial Packaging Group from Illinois Tool Works Inc.
Asters represented The Carlyle Group L.P., Illinois Tool Works Inc.
Merger clearance for a joint venture between Siemens Aktiengesellschaft and Mitsubishi Heavy Industries, Ltd.
Asters represented Siemens Aktiengesellschaft and Mitsubishi Heavy Industries, Ltd.
Merger clearance for the indirect acquisition by Advent International Corporation of shares of Mediq N.V.
Asters represented Advent International Corporation and Mediq N.V.
Merger clearance for the indirect acquisition by the Group BI-Invest of 100% shares of Club Méditerranée S.A.
Asters represented Global Resorts S.A.S. and Club Méditerranée S.A.
Merger clearance for the acquisition of Ranpak Holdings, Inc by Rhône Capital L.L.C. Merger clearance for the acquisition of Ansaldo Energia S.p.A. by Fondo Strategico Italiano S.p.A.
Sayenko Kharenko represented Fondo Strategico Italiano S.p.A. and Ansaldo Energia S.p.A.
Merger clearances for the indirect acquisition by Investindustrial of 100% shares of Arco S.p.A. and Flos S.p.A.
Asters represented Padme S.r.l., Arco S.p.A., Flos S.p.A.
Sayenko Kharenko represented Revlon Consumer Products Corporation and The Colomer Group Participations, S.L. Asters represented Aspen Pharmacare Holdings Limited and Merck Sharp & Dohme B.V.
Merger clearance for the establishment of joint venture by Gamesa Energía, S.A. Unipersonal and Areva Energies Renouvelables SAS. Merger clearance for the acquisition of Stredoslovenská energetika, a.s. by Energetický a průmyslový holding, a.s.
Sayenko Kharenko represented Energetický a průmyslový holding, a.s. and Stredoslovenská energetika, a.s.
Merger clearance for the acquisition of Novaled AG by Cheil Industries Inc and Samsung Electronics European Holding Coöperatief U.A. Merger clearance for the acquisition of GK Holdings, Inc by Rhone Capital L.L.C. Sayenko Kharenko represented ABRIS CEE MID-MARKET FUND II LP and AAA Auto Group N.V.
Weil, Gotshal & Manges LLP acted as international counsel to ABRIS CEE MID-MARKET FUND II LP and AAA Auto Group N.V.
Merger clearance for the acquisition by L'Oreal Group of Fipal S.A.S., a holding company to Decléor group, and Carita International S.A.
Merger clearance for the acquisition of Chevron Phillips Chemical by Solvay S.A.
Merger clearance for the acquisition of Valvitalia Holding S.p.A. by Finvalv S.r.l. Sayenko Kharenko represented Finvalv S.r.l. and Valvitalia Holding S.p.A.
Merger clearances for the acquisition by FIBA Beteiligungs-und Anlage GmbH of shares of Finedining S.à. r.l. Merger clearance for the acquisition by Marine Harvest ASA of control over the assets of Acuinova Chile S.A.
Asters represented Marine Harvest ASA and Acuinova Chile S.A.
Merger clearance for the acquisition of Nestlé Waters SAS businesses by Eden Springs Europe B.V.
Sayenko Kharenko represented Ministerstvo hospodárstva Slovenskej republiky and Slovenský plynárenský priemysel, a.s.
Sayenko Kharenko represented GEVEKE B.V.
Merger clearance for the acquisition of 10 Barrel Brewing by Anheuser-Busch InBev S.A./N.V. Merger clearance for the acquisition of shares of Dunayska sudnoplavna Stevedore Company LLC by Noble Jade B.V.
Merger clearance for the acquisition by OTP Bank Plc through OTP banka d.d. of shares in Banco Popolare Croatia d.d. Asters represented OTP Bank Plc and Banco Popolare Croatia d.d. Merger clearance for the acquisition of České aerolinie a.s. by Travel Service, a.s. and Korean Air Lines Co., Ltd.
Sayenko Kharenko represented Travel Service, a.s., Korean Air Lines Co., Ltd. and České aerolinie a.s.
White & Case (Prague) acted as international counsel to Travel Service, a.s., Korean Air Lines Co., Ltd. and České aerolinie a.s.
Asters represented The Procter & Gamble Company and Fater S.p.A.
Merger clearances for the acquisition by S.L.Z.A. S.A. of Vicini S.p.A.
Asters represented S.L.Z.A. S.A. and Vicini S.p.A.
Merger clearance for the acquisition by Osram S.p.A. of Slay Paky S.p.A.
Asters represented Osram S.p.A. and Slay Paky S.p.A.
Merger clearance for the acquisition by KWS SAAT AG of shares of GENECTIVE S.A.
Asters represented KWS SAAT AG; DLA Piper Ukraine represented VILMORIN ET CIE S.A., GENECTIVE S.A.
Merger clearance for the acquisition by AstraZeneca Plc of control over certain Ukrainian assets of Bristol-Myers Squibb Company. Merger control clearance in connection with establishment of P3 Network Alliance in the sphere of container liner shipping by A.P. Moeller — Maersk A/S, MSC Mediterranean Shipping Company S.A. and CMA CGM S.A.
Merger clearance for the acquisition of ALLC Ukraina by Agroregion B.V.
Sayenko Kharenko represented ALLC Ukraina and Agroregion B.V.